When you intend to buy a machine, it is important to have complete knowledge about what you have in mind. That will help you avoid making hasty decisions that might leave you with regrets. 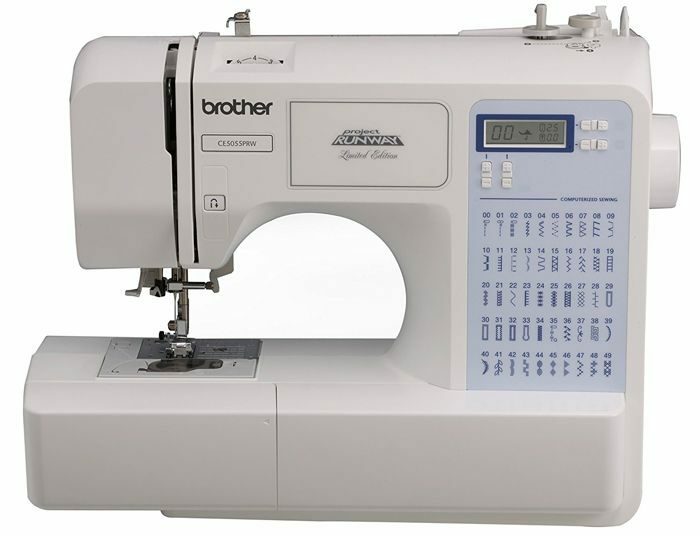 Brother Project Runway CS5055PRW is a great beginner machine; I love it! Here we have yet another one from the brother's company. It seems they care for beginners. The beginner sewing machine is quite convenient for amateurs. This article highlights just about everything that is CS5055PRW related. 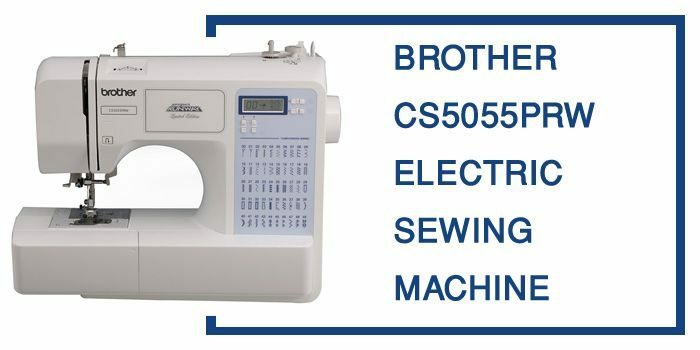 The pros the cons, and finally we summarize everything that you need to know if while looking for the best sewing machine. Our primary intention is to assist you to come to a conclusion quickly on what is right for you. When this machine was manufactured, the company had beginners in mind. By trainees, I don't mean just any of them but those who are on a strict budget. The machine comes with a lot of top-notch features that might make you think it's expensive. In reality, it comes with a price that will give your pockets a reason to smile. For its price, it's quite something. This is because it is computerized. Due to this, it has enough capabilities to carry out difficult tasks. Just like the feature suggests, it has computer memory. 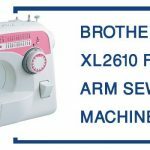 That eradicates the many problems that come up with using a mechanical sewing machine. It removes the guesswork from stitches. Reason being that its memory measures the exact length of stitches giving the correct degree of tightness. The machine also has some stitches that a student can use. That saves time because all the user has to do is just apply the stitches to whatever she/he is sewing. It has eliminated the need for all the complicated measurements that one has to use while using a mechanical machine. It is quite easy to attach zippers and buttonholes to the fabric. The CS5055PRW has a well-lit work zone. This makes it suitable for people with poor eyesight to learn how to sew. It also makes it appropriate for one to work at any time. Like it has eliminated the time limit for sewing. While using a mechanical machine, you cannot function even at night without proper lighting but with this machine that is now possible. At only ten pounds the CS5055PRW is quite an ideal machine.it has a plastic handle that enables the user to move it around at ease. Therefore beginners can carry it to and from class without necessarily having to look for someone to help them move it. The machine is tailored to fit on worktops such as desks and any counter-top. The machine has an automatic needle threader. That reduces eye strain on the user. Earlier when using mechanical devices users had to thread the needle manually. That was quite a task as the needle hole is quite tiny. Doing that manually was not only difficult but also wasted a lot of time. This digital machine has taken out the hassle that was associated with doing that manually. Reports of a hard time while threading the needle have been numerous. Q. How do I remove the E6 error? Q. How do I oil the machine? A: DO NOT OIL ANY PLACES! There is no need to grease it because the machine is usually lubricated enough in advance. If you are a prolonged user, you should take it to an authorized Brother Service Center to be oiled but do not do it yourself. A. 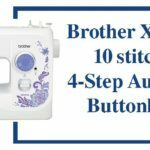 Modify the needle thread tension by pressing the minus or plus key on the LCD screen.